I have been an artist for many years now, and can appreciate true art when I see it. Recently I came across an Etsy seller that is incredibly talented in her jewellery making skills. She too has a love for crafts and handmade goods. She began designing and making jewelry, picture frames, and other unique items over 17 years ago as a hobby. What began as gifts for friends and family has since blossomed into a business. Tracie Nicole Designs has something for everyone in the family. Tracie Nicole Designs is a line of fine jewelry and wearable art featuring genuine diamond chip pendants, "upcycled" Vintage items, fine silver pieces, unique cocktail rings and more at an affordable price. If you see something you love, grab it while you can as many items are ONE-OF-A-KIND or LIMITED EDITION. 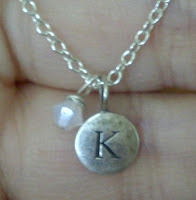 The item that was sent to me was a customized version of her Sterling Silver Inicial Necklace with my birthstone charm. 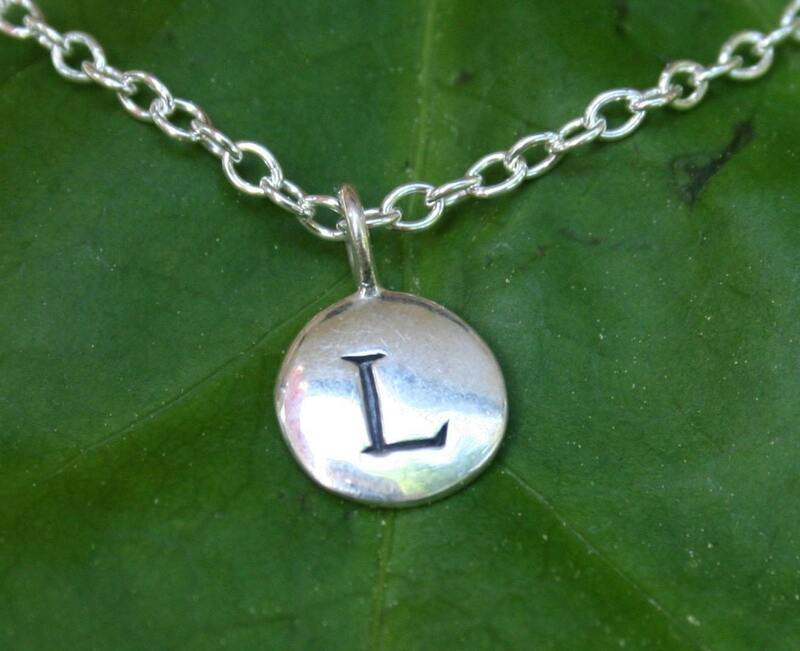 The Sterling Silver initial (of your choice) hangs on a 16 or 18 inch Sterling Silver chain. The initial (charm) is over 1/4 inch and the necklace is finished with a Sterling Silver lobster claw clasp. The necklace with one initial retails for $54. Each additional initial is $16 with the purchase of the necklace. Adding a birthstone crystal is only $3.00 extra. This necklace makes for the perfect gift, especially with Mothers Day and wedding season on its way! Tracy Nicole Designs has been kind enough to offer one of my readers a chance to win their own necklace. 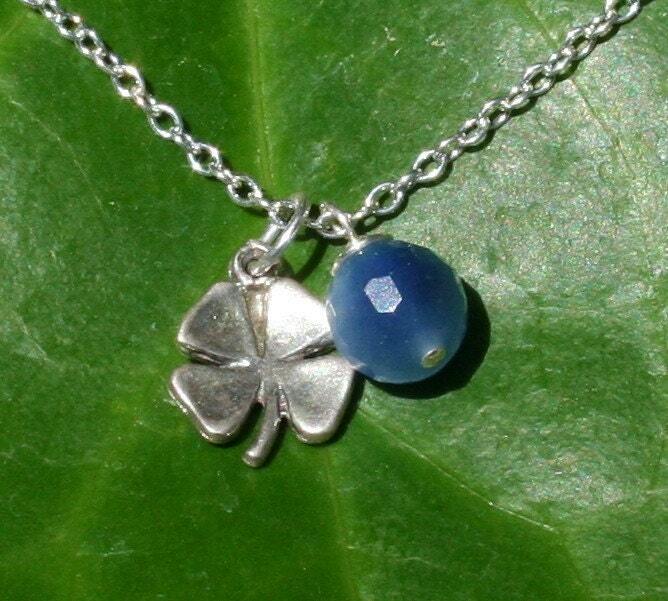 The necklace that has been chosen for a prize is the gorgeous Four Leaf Clover Lucky Necklace! 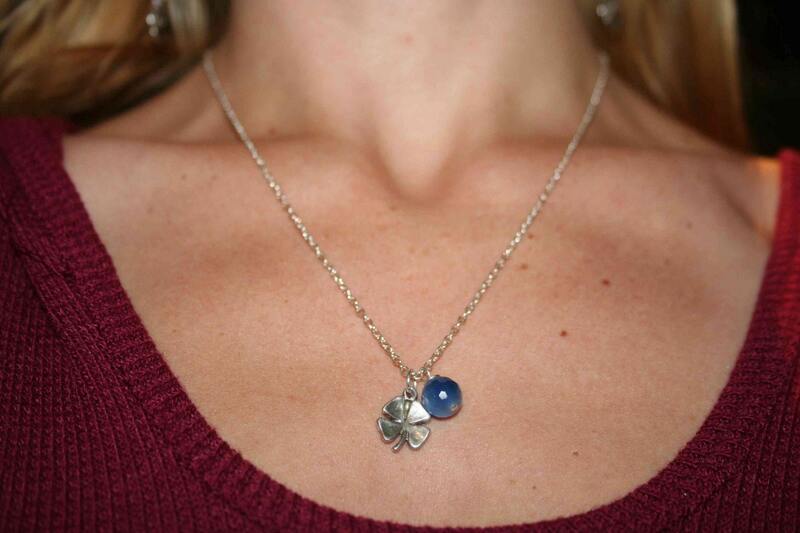 The brilliant blue quartz (over 1/4 inch) and charming sterling silver four leaf clover (approx 1/2 inch) are the centrepieces of this 18 1/2 inch sterling silver chain. The necklace is finished with a sterling silver lobster claw clasp. Blue Quartz is known to enhance organizational abilities, self-discipline, and bring mental clarity. Four Leaf Clover: The four leaves are each thought to represent something different. The first leaf for HOPE, second leaf for FAITH, third leaf for LOVE, and the fourth leaf for LUCK. Overall, the four leaf clover is thought to bring luck, especially to its finder. "Win a Tracie Nicole Designs Sterling Silver Necklace! @kimmie_1980 http://tinyurl.com/3mfyr2c (05/01) #giveaway"
Disclaimer: I received a necklace at no cost to me to facilitate in this review. I received no other form of compensation, monetary or otherwise, for writing this post. All opinions mentioned in this post are 100% mine, your opinions may differ. and my favorite is the 'diamond love pendant necklace'! At Tracie Nicole Designs, I really like the Fine Silver Sunburst Necklace. I voted for your blog at Ola Momma. I am a fan of Tracie Nicole Designs on Facebook. I love the Diamond Om Necklace so so much! 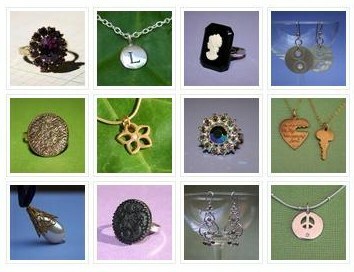 I "like" TracyNicoleDesigns on Facebook!